This week has been very exciting. 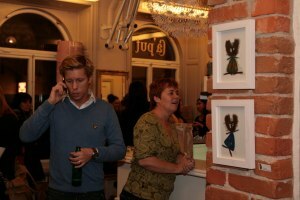 I now have my art on display at Ca'put, a hairdresser in downtown Stockholm. They display work from different artist on their walls. They have had an" Inspiration Night" this week with more than a hundred people visiting for inspiration and snacks. Great fun! I have my Chakra Art Series and some other paintings on display.